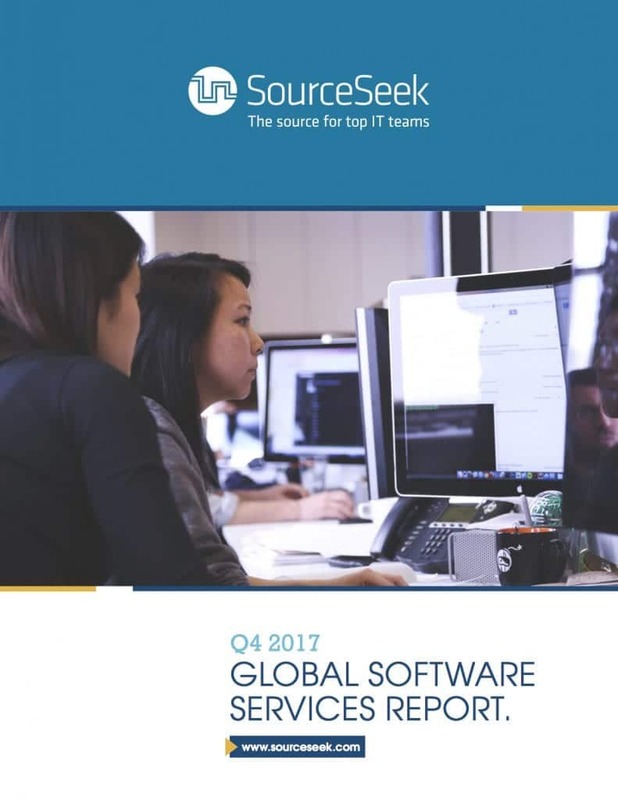 SourceSeek is very excited to announce our first ever Global Software Services Report, which you can download here. We polled hundreds of the top offshore development teams from across the globe, to learn more about key trends in pricing, technological specialties, and team dynamics. We analyzed the results and produced a 17 page report to help you stay on top of the rapidly-changing dynamics of the outsourced software industry. To our knowledge, this guide is far and away the most comprehensive look inside the software outsourcing industry available today. Specializations across industries like FinTech, education, E-Commerce, etc. We plan to update this guide quarterly to ensure that our customers and partners stay on the cutting edge of the industry, so stayed tuned for updates. If you have any questions about the survey, or just want to learn more about offshore software development, contact us anytime.